Today, we’re checking in again with Rhonda Remer. 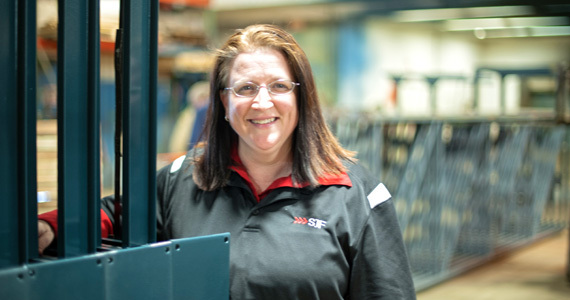 Rhonda has been in sales for over a year and from time to time, we like to get her perspective on how her journey in material handling sales is coming along. In July, I was $2,000 shy of the coveted $100,000/month mark in sales. It would have been my second time to hit the milestone. I was initially a bit deflated but then I decided to step back and look at things from a different perspective. What have I learned? How much progress in my new position have I actually made? I will focus on thePreview positive. So I got to thinking how I could help Sales the most. Here’s a gentle reminder about whom to go to and when. I penned this small poem hoping to help you again. Don’t ask Shawn or Mark, go to Joe Sr…or Brian.